As part of a new and exciting fundraising initiative, The Settlement has harnessed the creative talents of its tutors and students to produce unique pieces of art that go on display at a special exhibition on Saturday 1 December. Over the past few months more than 140 unique pieces of art have been designed on individual canvas squares that will then be offered for sale at the price of £20. Taking place from 10am until 4pm at The Settlement, 229 Nevells Road, the exhibition gives a colourful insight into the high standard of work produced by students and tutors involved in the diverse range of art courses available. Admission is free. “Firstly, my thanks to all those who have supported the exhibition by taking time to design and create a totally unique piece of artwork. Part of the fun will be that buyers will not know whether their piece is by a professional artist, a fellow student or a complete novice,” explained Settlement Manage Sonia Weston. She added: “Please support us in this new venture; the quality of work is exceptional and there are so few opportunities to buy an original piece of art at such a competitive price. The autumn term begins at Letchworth Settlement on September 7th as we offer yet another diverse selection of courses and workshops. This year we have extended our offering around modern languages to include German for the first time and have beginners’ courses in Spanish, Italian and French as well as at higher levels. For those who are creatively minded, there’s a wide variety of classes on offer ranging from abstract painting and machine embroidery to sugarcraft and flower arranging short courses. These classes are suitable for both beginners and experienced students and the work produced is outstanding. Our special interest classes promise to be both thought provoking and insightful and include Understanding Ancient Art, Essential Tablet Computing, Gardens in Literature and Wonderful Ideas in Science. As well as courses, The Settlement is hosting a special event on Sunday September 30th with an afternoon of Flanders & Swann which includes tea and cake and musical entertainment. It will be a trip down memory lane for many attending as they enjoy celebrated classics like ‘I’m a Gnu’ and the ‘Hippopotamus Song’. Tickets are priced at just £8 each, available online and from the office. The colourful creations of Letchworth Settlement students are being celebrated over the next 10 days during a special exhibition at the Community Museum in the town centre. With examples of work from arts and crafts students and from those involved in creative writing, the exhibition showcases pieces that have been created over the course of the past 12 months. Presented in partnership with the Heritage Foundation, ‘Settlement Showcase’ will feature pieces from every stage of the student journey, from the beginning to examples of more complex work undertaken by experienced learners in a range of classes including fine art, collage, water colour and sewing, together with examples of short stories and poems. 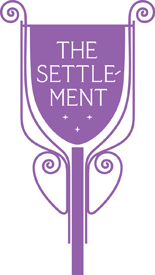 Based at the Community Museum situated in The Arcade shopping precinct in Letchworth town centre, the exhibition promises to give visitors a real insight into what can be achieved when studying at The Settlement. It will run across two weekends: Thursday July 5 until Saturday July 7 and then again from Thursday July 12 until Saturday July 14, 11am until 4pm each day. Admission is free. Settlement Manager Sonia Weston explained: “The standard of work produced by our students is quite inspiring and the exhibition is a positive way to show what can be achieved. Many of our students will start with very little experience and develop their skills and confidence within our supportive learning environment. Details of new courses that are not in the brochure! Butterflies continue to take part in some of the most fascinating relationships ever constructed by Evolution. Their caterpillars have fought against plant defences across geological time, as well as their natural predators, principally birds. Few other insects have as much to reveal, about themselves and about Evolution. In this, her first published novel, Jane Austen explores the art of happiness in the company of Mrs Dashwood and her daughters, serious Elinor, romantic Marianne, little Margaret, their friends and suitors. Sense & Sensibility is a stylish, witty and elegant novel which invites us to consider contemporary ideals and social convention, the rational and the romantic, sense and sensibility, in ways as relevant today as in 1811. Discover the joy of drawing and learn how to express yourself through mark-making and drawing. We will learn basic drawing skills and practise those already gained, explore materials and mark-making techniques with the aim of dispelling the fears when faced with a blank sheet of paper. For those who have some drawing experience we will continue to practise our drawing skills whilst gradually introducing new techniques and materials. Settlement chair, Pam Burn, shares her thoughts about the past and present times of Letchworth Settlement in her latest blog for the Heritage Foundation. Tell us something of the history of Letchworth Settlement? When people ask me why is Letchworth so special I am quick to respond. It’s because of its unique combination of special buildings and rich social history. We are fortunate not only to live in the world’s first garden city but to have places like Letchworth Settlement which first saw the light of day in 1920. It was one of a number of Settlement Houses established around the country from the 1880s onward. The original idea for their formation began in the 1860s when a group of reformers sought to bring the poor working class into contact with other classes and bridge what they saw as the worsening social divide in Britain. The first Settlement workers were Oxbridge graduates who ‘lived in’ and tried to bring the culture of university life to those who had no such experiences. The first purpose-built Settlement House was Toynbee Hall in London, which is still active today and indeed is where Graham Fisher was CEO before taking the helm of the Heritage Foundation. I love the way the links with social history and equality continue to the present day. In 1925 the Letchworth Settlement moved into what had been The Skittles Inn (more famously known as ‘the pub with no beer’). The building was designed by Barry Parker and Raymond Unwin and is now a Grade II listed property. It was purchased by the Letchworth Adult Educational Settlement and owned by them until 1995 when financial difficulties forced the Trustees to take the difficult decision to gift the building to the Letchworth Heritage Foundation in return for a peppercorn rent. The first Settlement Warden in Letchworth in the early 1920s was James Dudley whose portrait can be seen over the fireplace in the Brunt Room of the Settlement. James lived in a small flat on the second floor, as did his successors until the last Warden, Roy Evans, who raised his young family there from his arrival in 1963 until he moved to a house he bought directly opposite the Settlement in 1976. The upstairs was then converted to classrooms, office, loo and storage for the Settlement Players costumes and props. Ebenezer Howard reopened the Settlement in 1925 with a speech delivered in Esperanto which those of us of a certain age will recall was touted as the future international language, but few people under the age of 60 has heard of today! Howard and George Cadbury were Trustees on the first Board of the Settlement. In the early 1950s, William Wallace Kincaid, Director of the Spirella Company left money to the Settlement to enlarge the Main Hall to allow a proper stage and behind the scenes facilities to be constructed and this opened in 1956. In 1975 a purpose built Craft building was added to the rear of the main building, paid for by the Letchworth Garden City Corporation. Today, Letchworth Settlement is one of the very last of its kind still in operation as it was almost 100 years ago. Our aim is to keep it that way! Well, we have expanded our horizons quite a bit in the past three years. We have always run lots of long courses – languages, arts and crafts, academic courses of all kinds and these remain the core of our work. But over the past three years we have embarked on a number of short courses and workshops which recognise the needs of modern families with limited time availability. So we now do silver jewellery making, ikebana, glass fusion, party baking for children’s parties, flower arranging of all kinds, encaustic wax painting, creative writing workshops and more! We have also developed a new programme which we call our ‘Twilight Talks’ where we invite someone from an interesting and unusual background to come along and give a talk on their specific subject area. So far we have had, among others, the former Director of MI6, the great granddaughter of Sylvia Pankhurst, the Director of the Fitzwilliam Museum and a leading heart surgeon from Papworth who also happens to be a world authority on the anatomical drawings of Leonardo da Vinci, oh and a former member of the Royal Household who discreetly leaked a few interesting titbits! In the year ahead we shall have one of the original Concorde pilots, Bridget Kendall (the former BBC Moscow Correspondent and well known R4 voice), Helen Pankhurst launching her new book at the Settlement, to name just a few. We receive absolutely no grants from anywhere and we are on a full Repair and Maintenance lease with the Foundation so we have to ensure we put funds away to meet all the requirements of our lease which are significant for a Grade II listed property. Plus of course we have to constantly upgrade and improve facilities so as to continue to be able to offer new and exciting ideas to would be students. We have always sought to keep our fees at reasonable levels so that our courses and activities are as accessible as we can possibly make them. We also run a range of fundraising activities during the course of the year which help us with improvements – Quiz Night, Fair, Christmas Raffle, Open Gardens occasionally and so on. One of the other ways we manage to live within our means is through the willingness and enthusiasm of our volunteer Trustees and other supporters who carry a lot of responsibility and are very hands on. We have a brilliant paid staff of some 3.5 full time equivalents and between us we do all that is needed to keep the show on the road. All our courses are listed on our website pages www.letchworthsettlement.org.uk and you can find out more about us via our Face book pages https://www.facebook.com/LetchworthSettlement/ please take time and have a look at what we do, who knows we may something to tempt you. Do you have any concerns for the future? Just the ones which all charities have really – shortage of volunteers and future students – today’s world is not an easy one and people struggle to make a living, raise families and do voluntary work or non vocational studies. But I remain confident that we will see our second century off to a good start and if anyone is intrigued about what we do and wants to get involved please contact the office on 01462 682828.